If you plan to visit New Zealand, Queenstown is one of the city you must reach as there provides many adventure activities you would interested in. Most of the visitors will spend 3 days above in Queenstown as you have no enough time to explore all of the interesting activity here. New Zealand is the pioneer of Bungy jump in the world, but do you where where is the actual pioneer location? Yes, is Queenstown!!! AJ Hackett Bungy is the world pioneer of commercial Bungy Jumping. It all started in Queenstown, New Zealand in 1988, and since then they have become an established World Leader in the Tourism Industry. Recognised for an innovative, and “outside the square” style, AJ Hackett Bungy is continually looking towards new ventures and pushing industry boundaries. Their professional crew, high operating standards, training schemes and procedures ensure an impeccable safety record. 1. 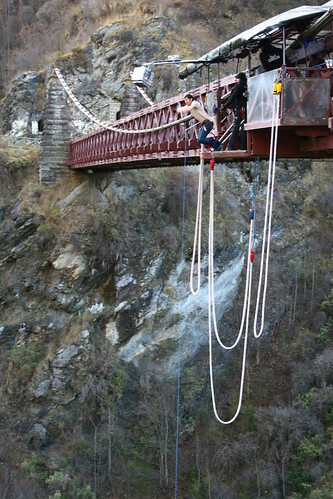 The Ledge Bungy - 400m Above Queenstown; Bungy in the dark through winter with our Night Jumps; Twist-flip-dive, the possibilities are endless; Harness Jumps - great if your feet like to be free. 2. Kawarau Bridge Bungy - World's 1st Commercial Bungy Jump; 43m Jump off the historic Kawarau Bridge; Queenstown's Only Tandem Bungy; Bob above the water, touch it or get dunked. 3. The Nevis Bungy - New Zealand's Highest; Jump from a highwire cable car 134m; Massive Ground Rush - 8.5 seconds; Private Mountain Access Road - 4WD only. Also, they provide photography and give you a DVD for your collection. The crews are very professional and the photos taken by the company will be from many angles to record the short few seconds. For the review from Tripadvisor, 106 voted this place is Excellent, 9 voted Very Good, 4 for Average, and 2 for Poor. When you feel tire in travelling around, you may find one place to stop a while fore relax. You can bring your whole family member come to Onsen Hot Pools for spending an hour and enjoy!! What you can enjoy here is the pure waters, and the fresh mountain air, as your mind and body surrenders to the deep penetrating warmth and gentle massage of our private pools. Housed in cedar-lined bathing rooms, complete with shower, changing area, breathtaking mountain views, and unique picture-windows that retract into the roof at the touch of a button. At night dim the lights and watch the southern constellations wheel past overhead! At there you can watch the sun set, it is truly the way to enjoy life in Queenstown. There is a free pick up from town centre which was really convenient for anyone who wants to get there. There's private shower and also a shared changing room complete with hairdryer for everyone to use. The business hours are from 11am to 10pm every day. They may stay open to 11pm during the summer for clients who request candles. For the review from Tripadvisor, 156 voted this place is Excellent, 30 voted Very Good, 4 for Average, and 1 for Poor. Skydiving is one of my best experience in my life. Although I have no experience jumping in Queenstown, but skydiving is a great deal you have to make with. 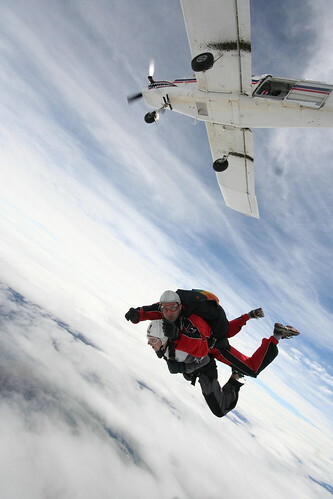 I had jump with Skydive Wanaka, read here for more. Honestly, I was very nervous when I was on the flight to 15000 fts at Skydive Wanaka, but this was very excited moment when you jump out from flight!!! Nzone Skydive, there are 3 jumps, at 15000fts, 12000fts and 9000 fts. 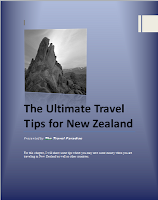 The price for jumping (pure jumping without photo and video) is about NZ$429, NZ$329 and NZ$269 respectively. For the photo and video, combo price NZ$219. From 15000 fts, it takes about 60 seconds to have landing, meaning the speed is very very fast!!! Even though it is 1 minute jump, but you will feel that is slow on the sky, and you will never think of landing. Nzone operates 364 days per year, only closed on Christmas day. Of course, all jumps need to depend on the weather condition, the jump my be cancelled if under bad weather condition. Bear in mind to check the weather before you book this activity. For the review from Tripadvisor, 148 voted this place is Excellent, 9 voted Very Good, 3 for Average, and 1 for Poor.